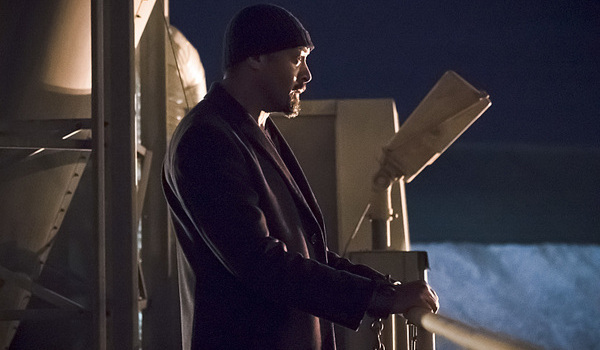 Warning: spoilers ahead for the Season 2 finale of The Flash. Barry Allen was surprisingly upbeat for most of the penultimate episode of Season 2 of The Flash, which naturally meant that something terrible was going to happen in the last few minutes. Sadly, Barry lost his second parent when Zoom murdered Henry in front of him, and things aren’t going to get any easier for him in the season finale. 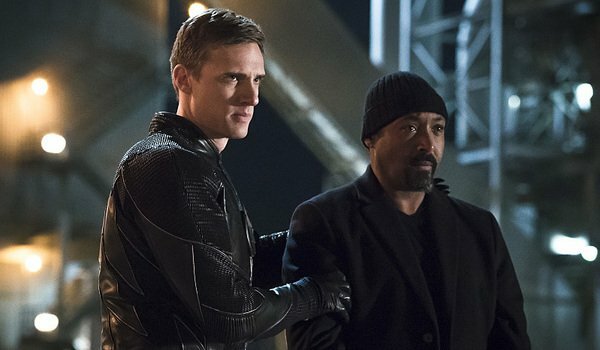 Zoom will be taking another one of Barry's loved ones hostage, and from the looks of things, Barry may very well be in danger of losing another father figure in Joe. Given what we’ve seen of the finale from the trailer, Joe isn’t going to be stuck with Zoom for the entire episode, and he’ll spend at least some of his time with Barry in the aftermath of Henry’s death. Barry will certainly be in a bad place, and he’ll need some guidance from his second father figure if he’s not going to have a total breakdown. Still, it’s pretty safe to say that Zoom will have Joe in his clutches for more that just a couple of minutes. Joe doesn't have any vibrating skills that would allow him to get out of those chains. Zoom must be tired of captives escaping on him if the chains are any indication. Joe doesn’t exactly stand much of a chance of outrunning him. Of course, considering the size of the posse that shows up in an apparent rescue mission for Joe, Zoom probably had the right idea with securing Joe as much as possible while on the move. I’m not entirely sure why Barry has brought five unarmed people – three of whom are wearing very impractical shoes for a showdown – along for the rumble, but Dr. Wells’ giant gun indicates some kind of a plan has been formulated for how to rescue Joe and take down Zoom. Hopefully, Barry and Wells managed to do some damage to Zoom before Caitlin has to try to run away in those heels of hers. The trailer has revealed that the big climax between Barry and Zoom is going to be a race to see who is truly the fastest man alive, so Joe probably isn’t going to actually be killed in the finale. Barry may be the nice hero in the Flarrow-verse, but I don’t think that he’d be willing to settle all of his differences with Zoom via footrace if Zoom had killed both his dad and his foster dad in quick succession. 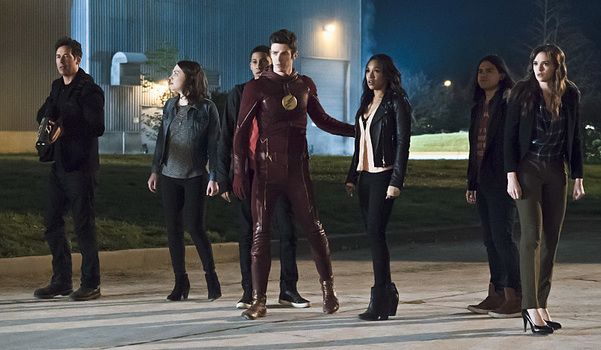 The Season 2 finale of The Flash airs on May 24 at 8 p.m. ET on The CW. Be sure to tune in to see how Zoom gets his hands on Joe and how fast Barry runs to try to save the day. There are still plenty of other big questions to be answered as well. To see the extended trailer for the episode, head to the next page and take a look.